作者: Pramod Mathur on 8 February , 2019. For millennia, ancient India was one of the foremost seats of learning in the world with famous universities like Taxila, Nalanda and Vikramshila, visited by scholars and monks from China, Tibet, Korea, among others. For example, the 7th century Chinese Buddhist monk, Hiuen Tsang, spent 15 months studying and learning at Nalanda, the ancient Indian University known as Mahavira. After Independence in 1947, India had an onerous task of reconstruction including infrastructure development and educating a huge impoverished population. Article 45 of the Constitution of India clearly directed that “The state shall endeavour to provide within a period of ten years from the commencement of this Constitution, for free and compulsory Education for all children until they complete the age of fourteen years.” The central and state boards largely follow the system of “10+2+3” based on the recommendation of the “Education Commission” of 1964–66. This pattern involves, 10 years of school, 2 years in a junior college and three of graduation. The first 10 years are subdivided into four years of primary and six years of higher education. The Indian government lays emphasis on primary / elementary education for children aged 6 to 14 years old. Due to a shortage of resources and lack of political will, this system suffers from massive gaps. Whether it is pupil to teacher ratios, infrastructure or poor teacher training. Secondary education covers children aged 14 to 18. The final two years of secondary is often called Higher Secondary. Secondary education is examination-oriented and students register for and take classes primarily to prepare for one of the centrally-administered examinations. Majority of the students study in the government schools where poor and vulnerable students study for free until the age of 14. According to 2017 data, 65% of school students in 20 states go to government schools. These include schools runs by the state and central government. India also has a large private education system that competes with government-run schools. At the primary and secondary level, nearly 30% students receive private education in the 6 to 14 age group. Certain post-secondary technical schools are also private. The private education market in India had a revenue of US$450 million in 2008, and is projected to be a US$40 billion market. 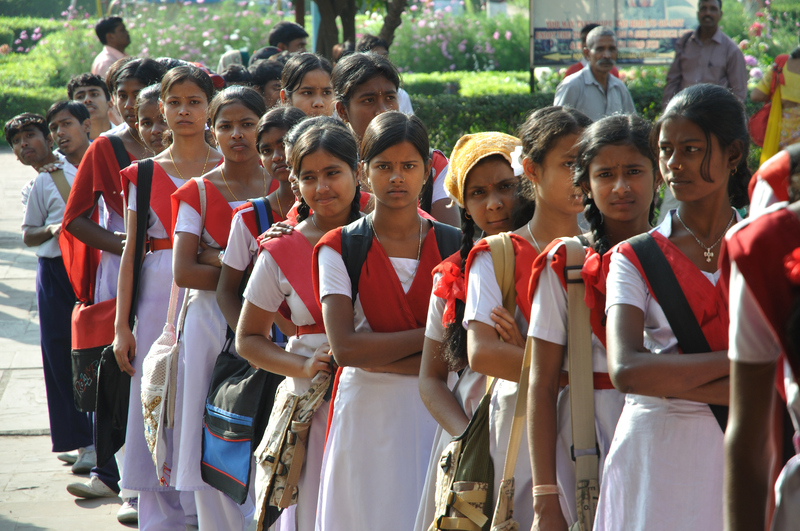 According to current estimate, 29% of Indian children are privately educated. With more than 50% children enrolling in private schools in urban areas, the balance has already tilted towards private schooling in cities. Even in rural areas, over 20% of the children were enrolled in private schools. As per the last five-year study, private schools gained 17.3 million more students across India. At the school level, National Institute of Open Schooling (NIOS) provides opportunities for those who missed completing school education. Nearly 1.4 million students were enrolled at the secondary and higher secondary level through open and distance learning in 2012. This has proved a boon for those who could have been totally marginalised in future due to lack of a school certificate.